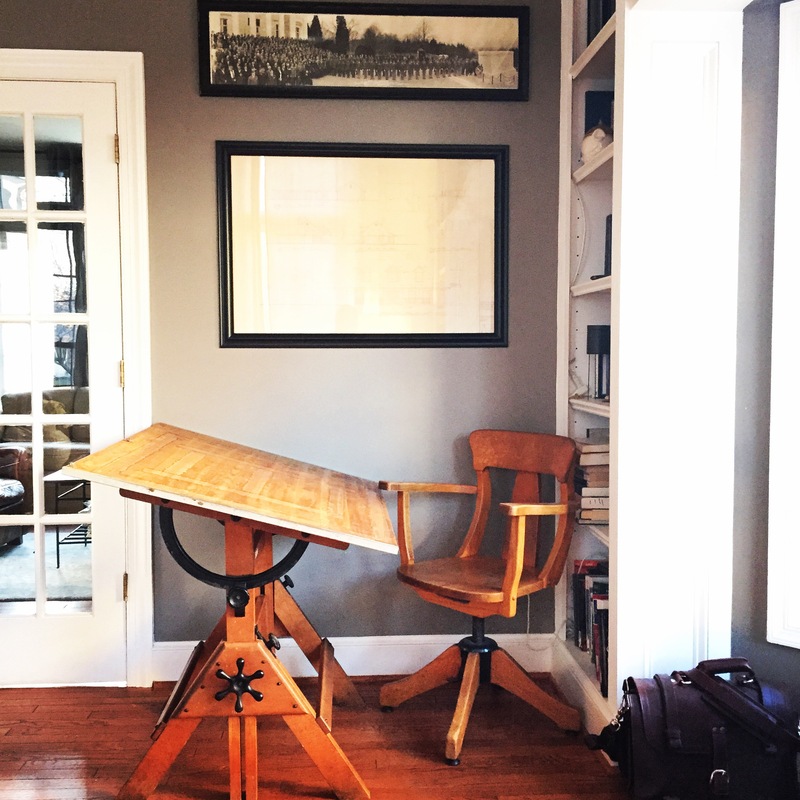 Gorgeous work table from an estate in Lovettsville, VA. 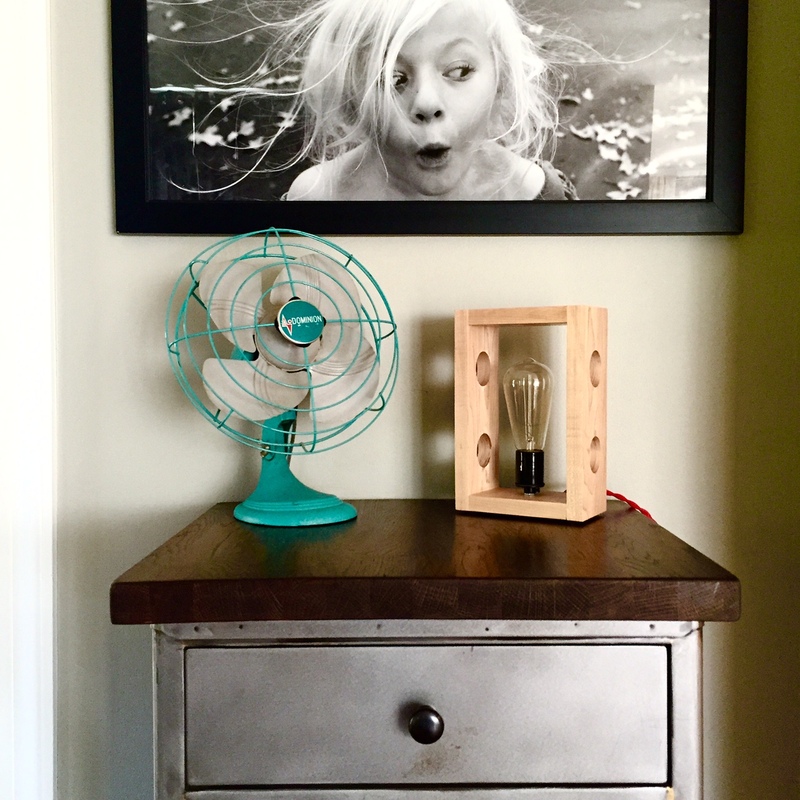 It features solid poplar slab top and beautiful worn finish. 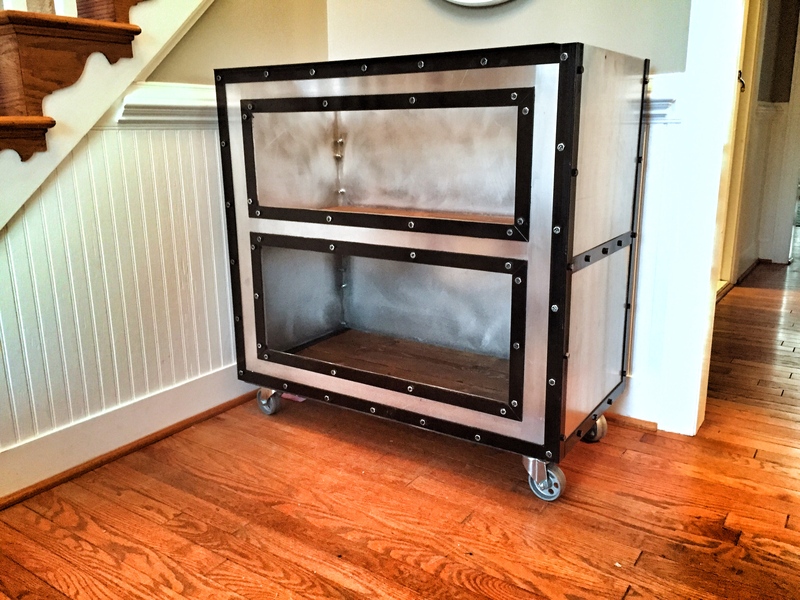 This thing is well loved and well made – would make a great kitchen island. 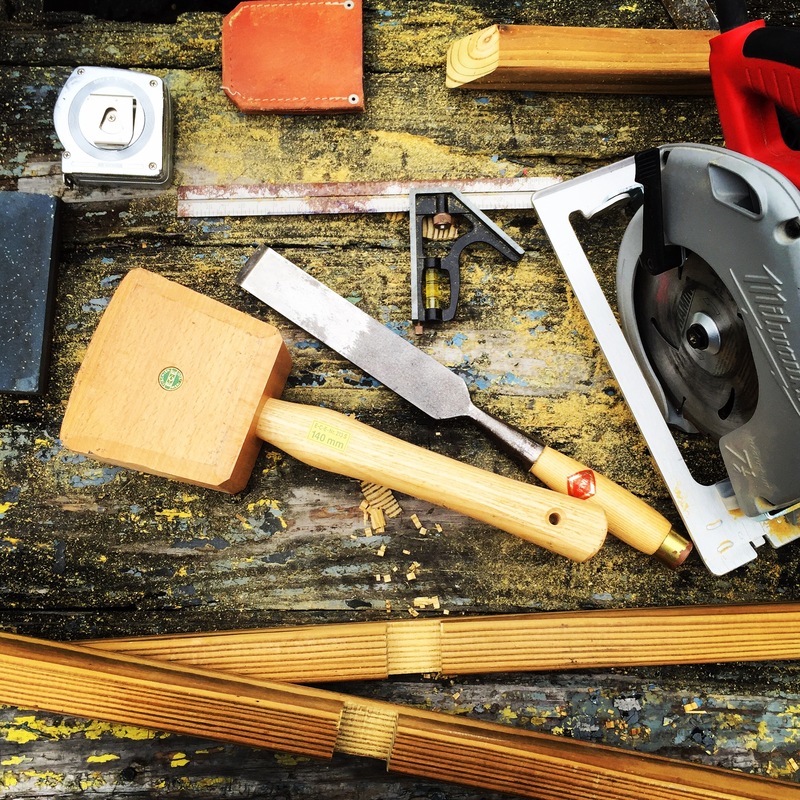 Our handmade industrial table also makes a great work station in our studio! 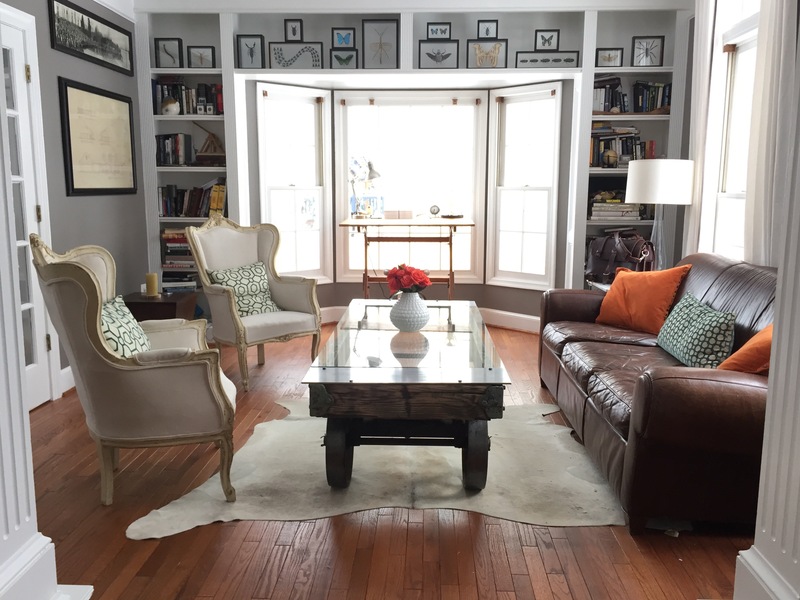 Two views of our studio – after painting the previously purple and gold room a beautiful soft white. 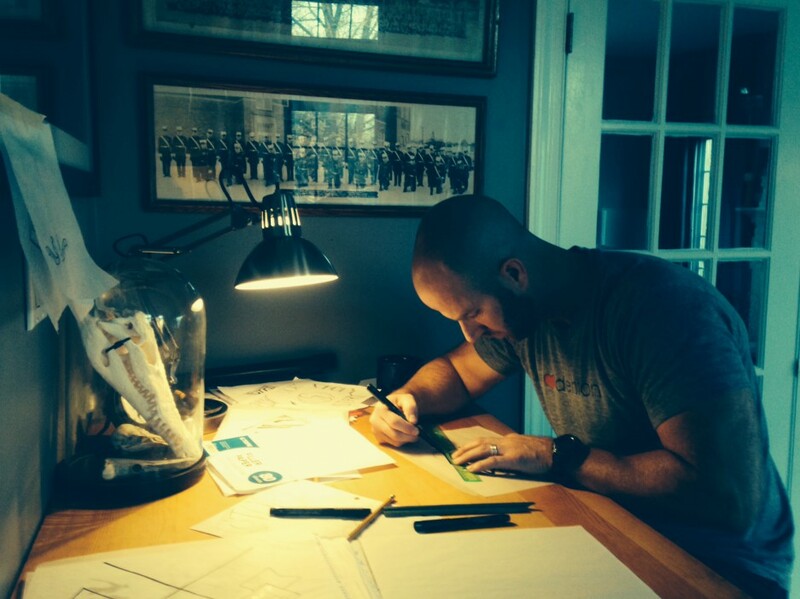 We love having a place to work where we can display our collections, including our vintage military photos. Awesome Art Deco style hair dryer from the 1940’s converted to a lamp. 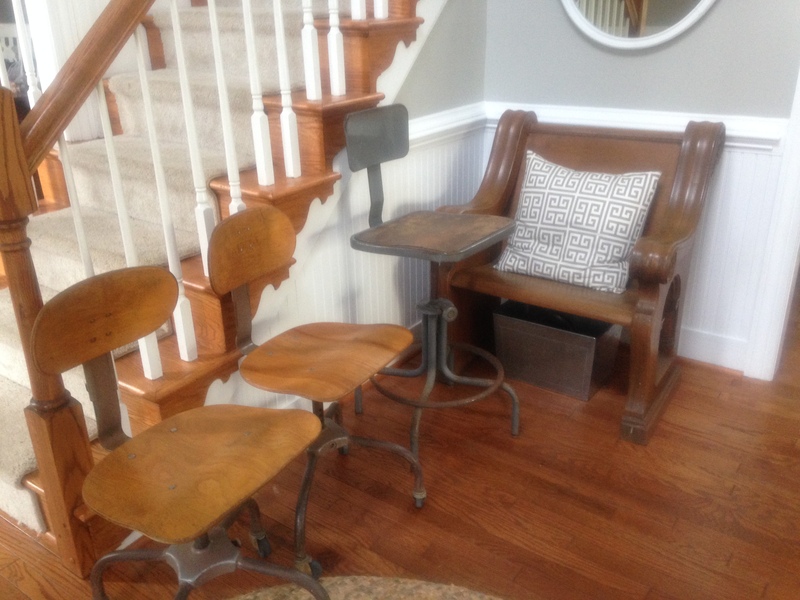 Recent pop up shop featuring one of our sweet cart tables. 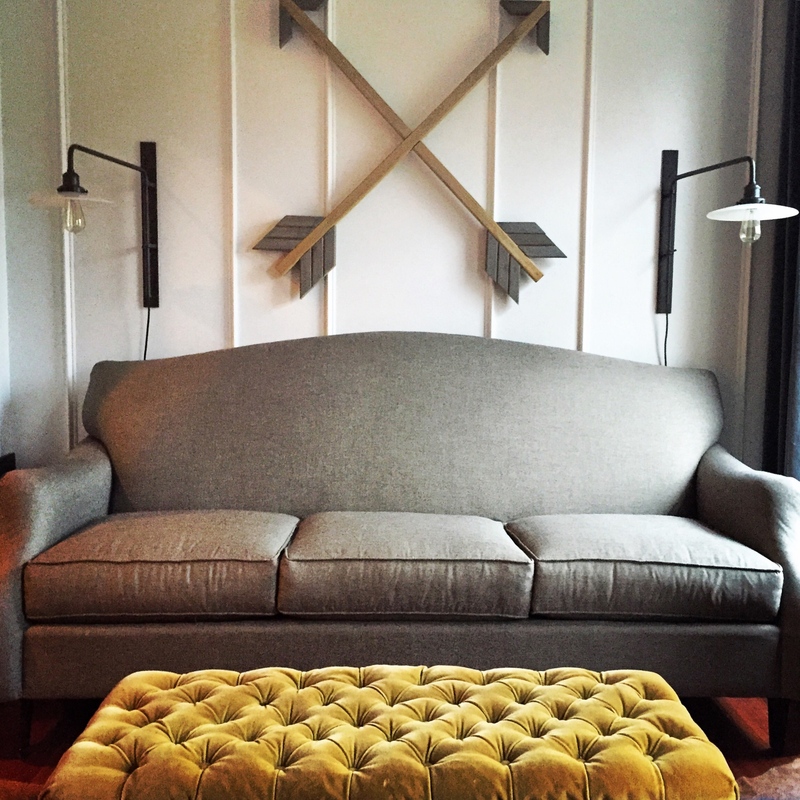 Custom order of 48″ pine and walnut arrows atop a primitive cabinet. 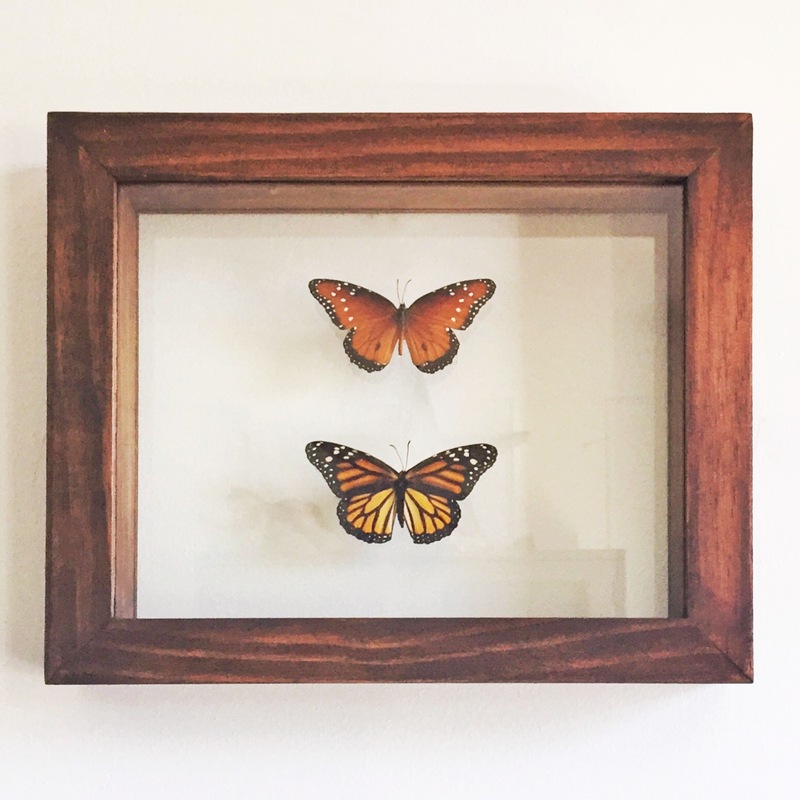 Lovely custom framed butterflies ordered for a birthday gift from husband to wife. 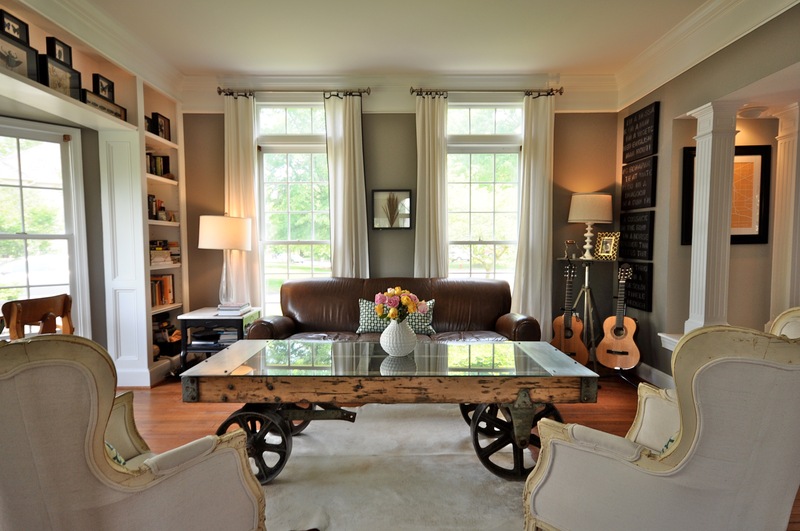 We transformed the cottage at Sweet Clover Barn into a vintage library. 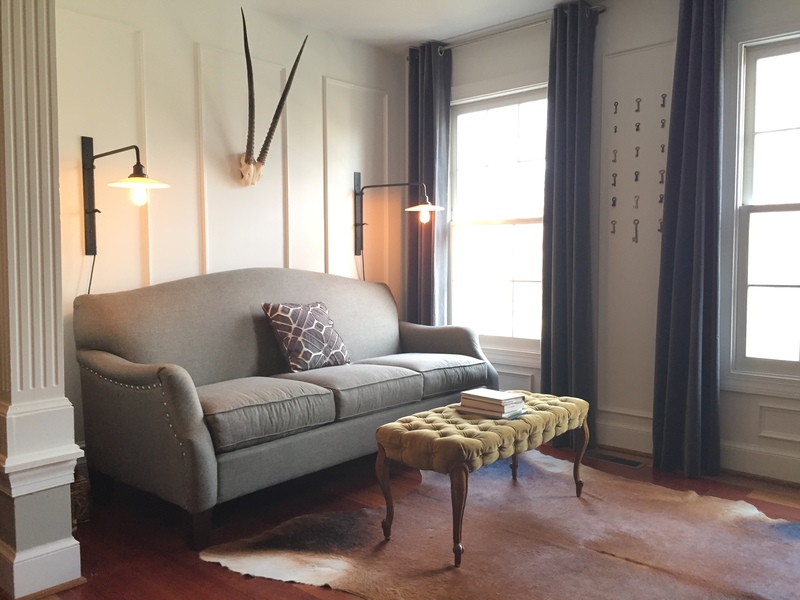 Vintage sofas and our beloved kudu anchored our design for the Cottage at Sweet Clover. 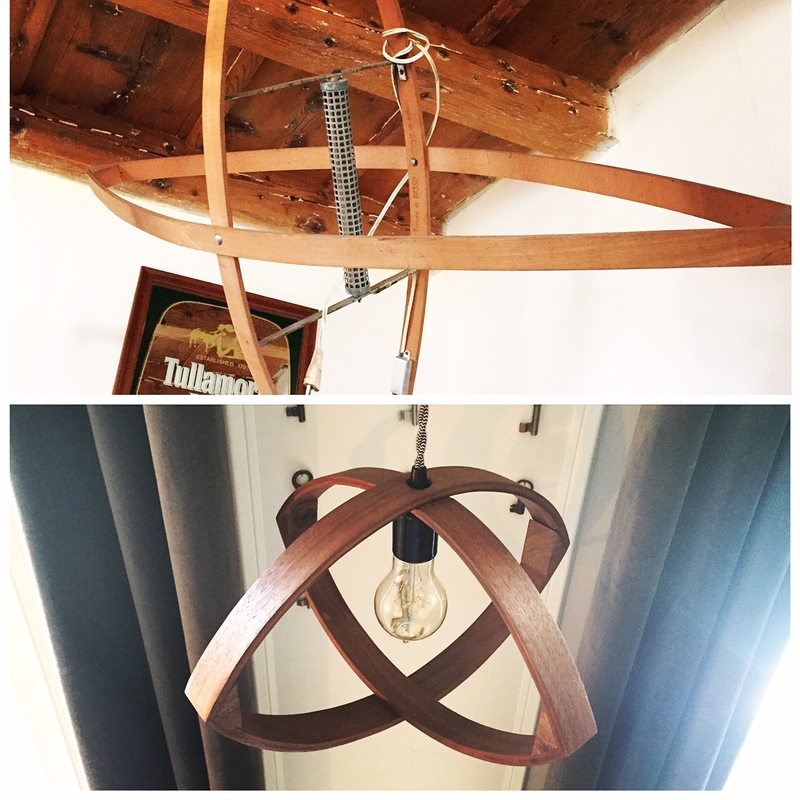 Inspired by an antique bug zapper spotted in Italy, one of Ben’s latest lighting projects. 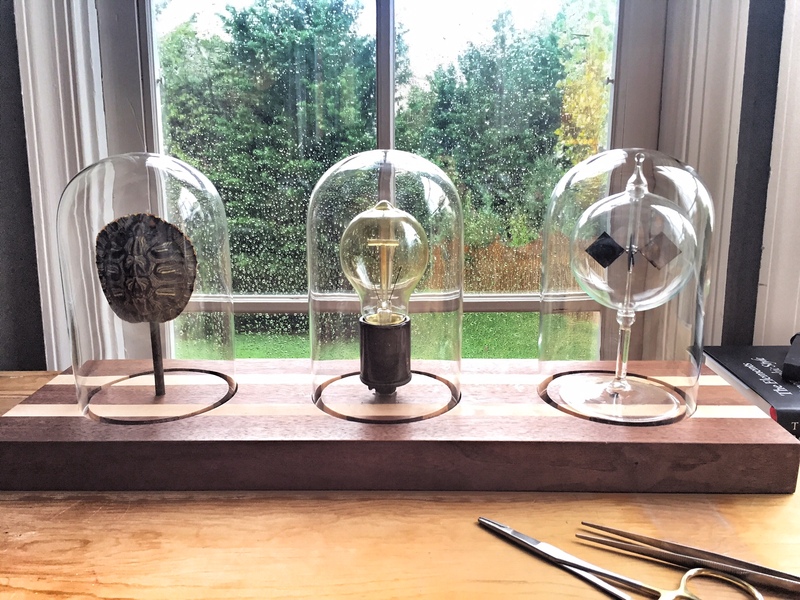 One of my favorite new lighting creations – triple dome light on handmade walnut, featuring a Crooke’s radiometer that spins when the light comes on. 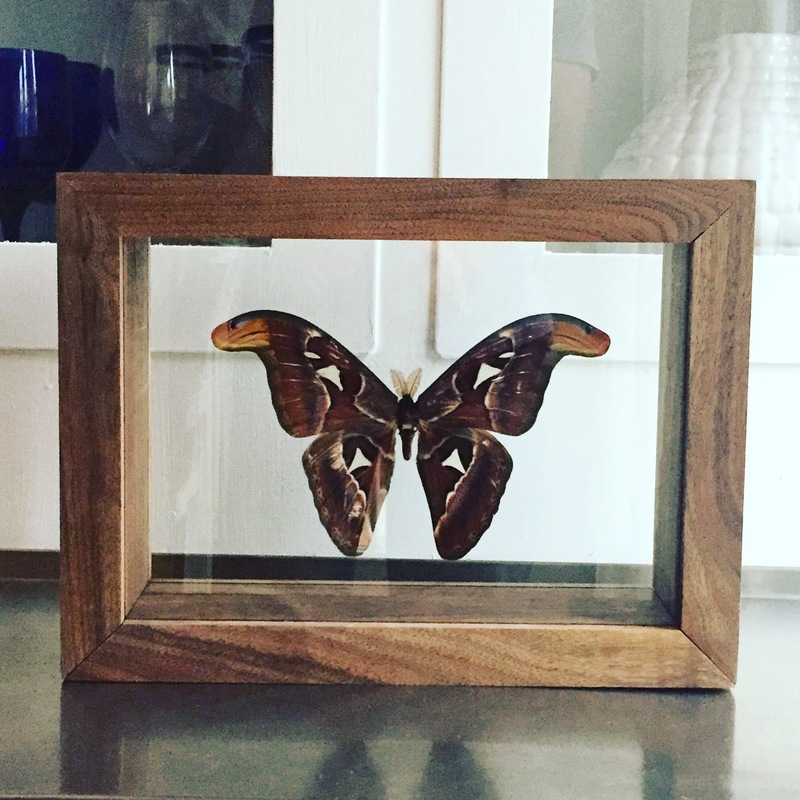 Giant Atlas moth in handmade walnut frame. This same walnut is being used for table tops in our workshop. 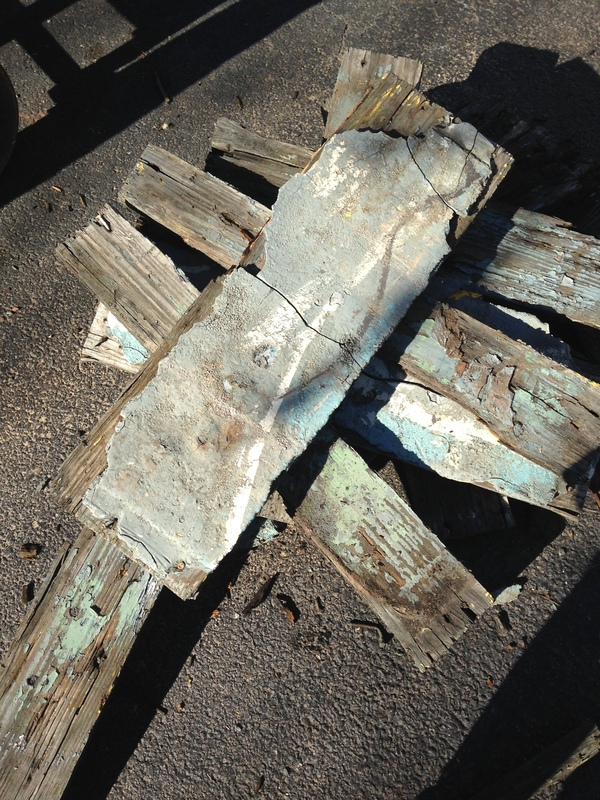 It was storm-felled locally and has such beautiful grain that it does not even need stain. 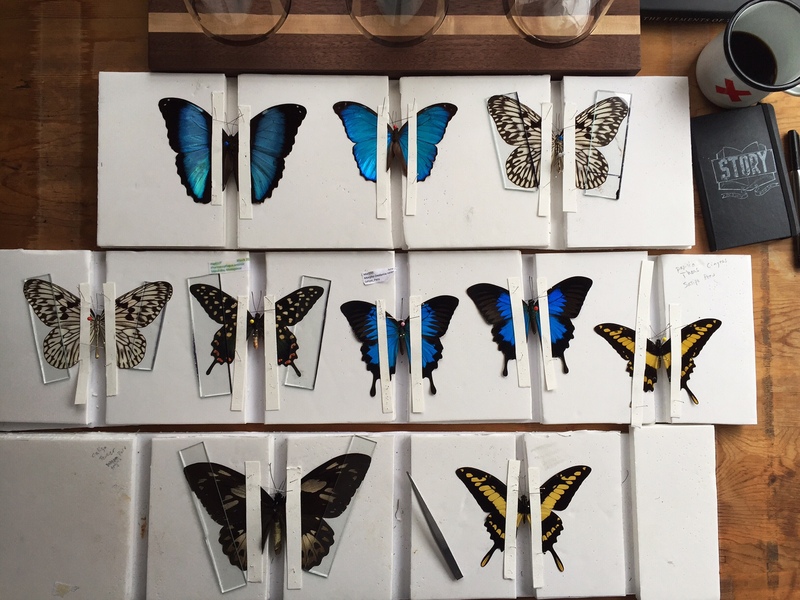 Busy day of spreading and drying these lovelies. 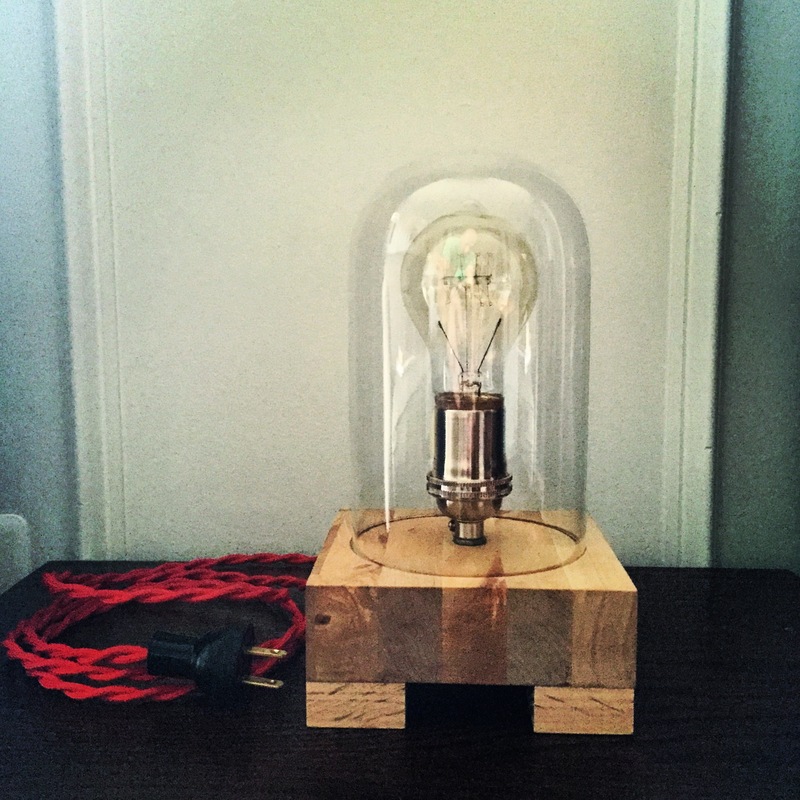 Recent commission – walnut and pine base with hand-forged steel rod and vintage cloth cord. 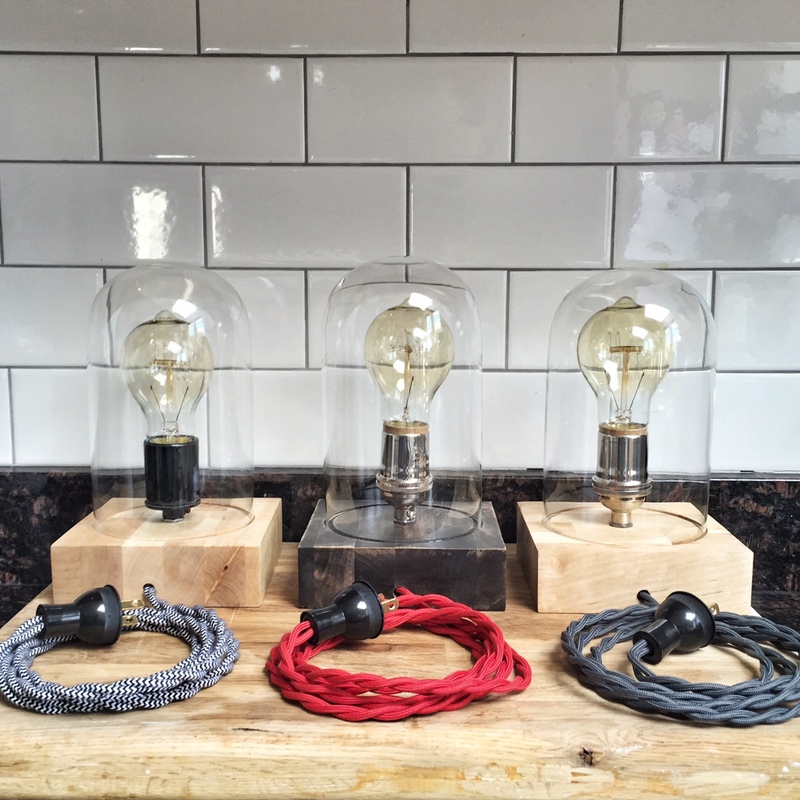 Edison bulbs make everything cooler. 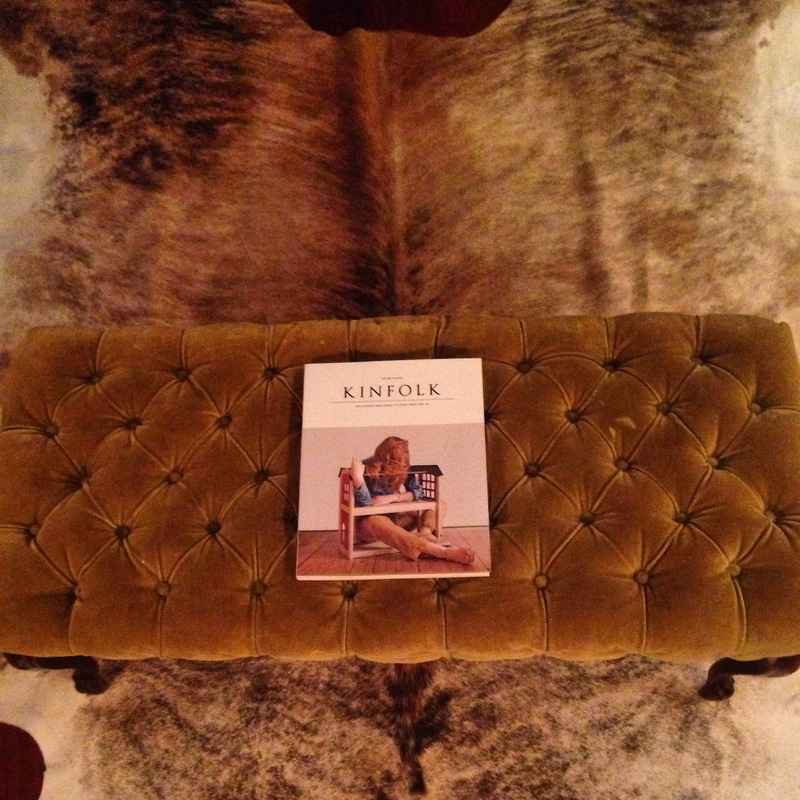 Picked up this great cowhide rug at at Texas flea market, and this velvet tufted bench at a barn sale — sorry, these are keepers. 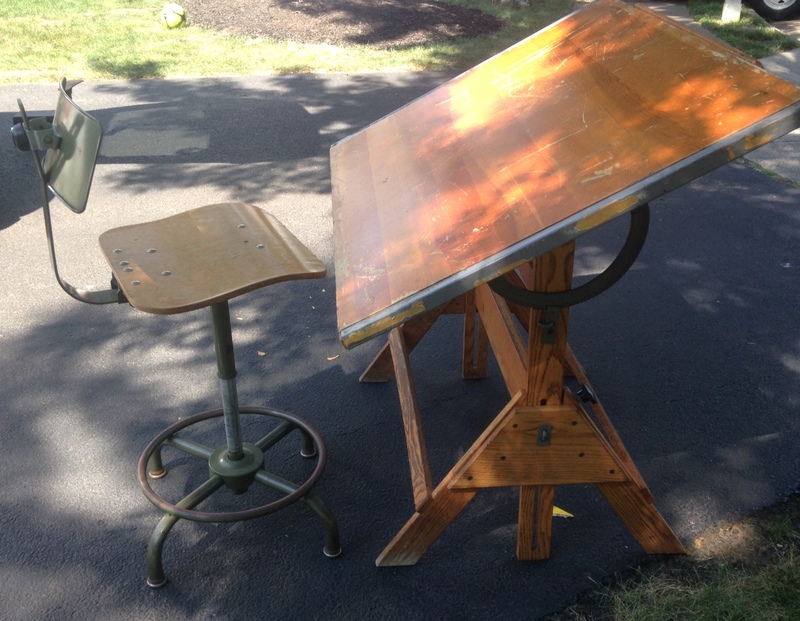 I have a weakness for vintage drafting tables. 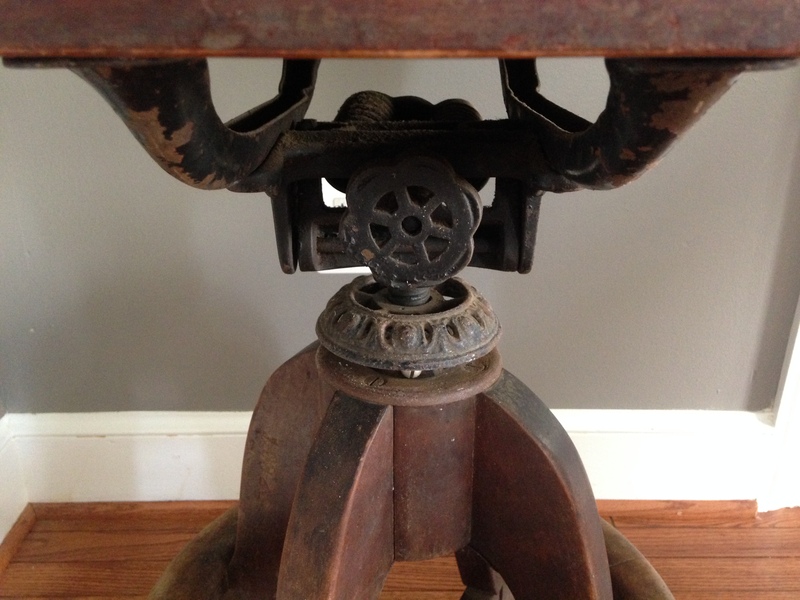 And vintage drafting stools. 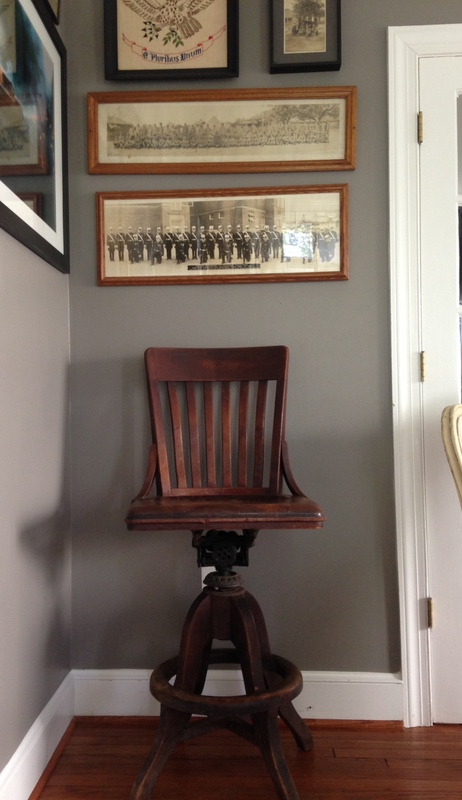 Great iron and solid wood counter-height vintage chair. 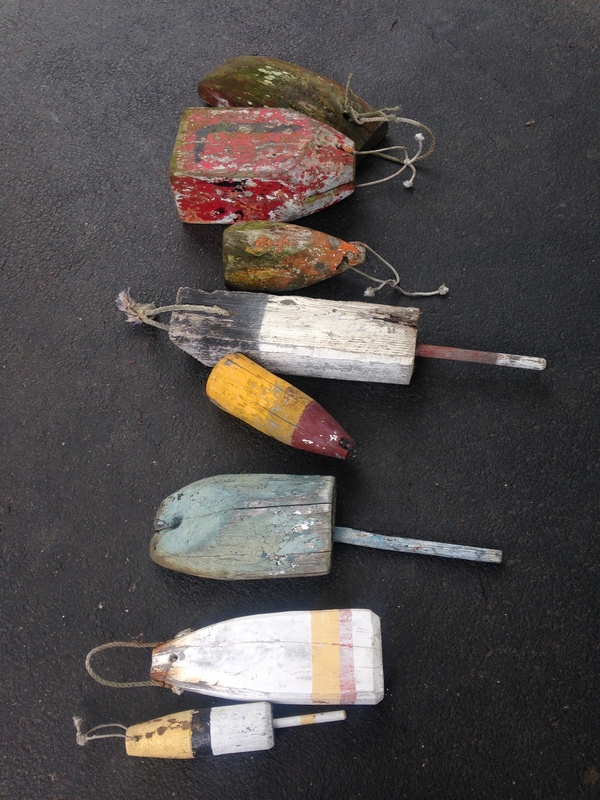 Rustic collection of large vintage buoys found at a local estate sale. 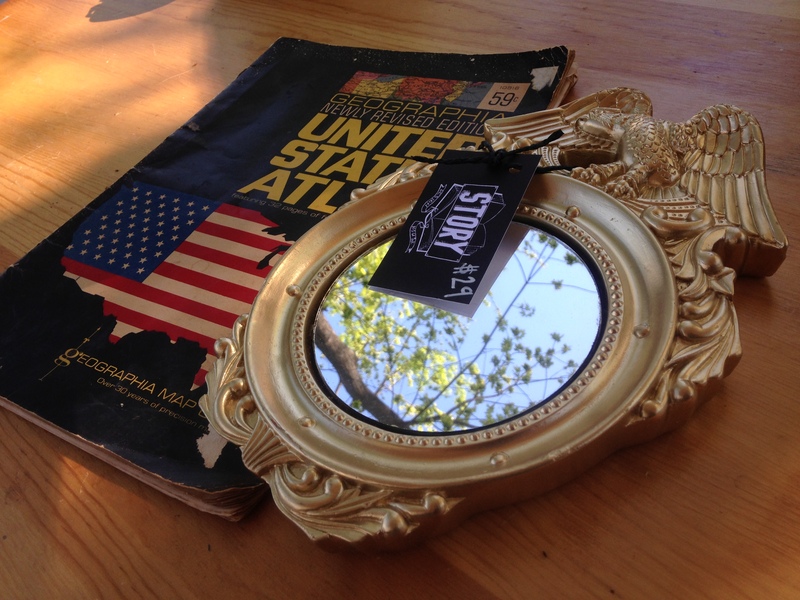 Perfect for a lake house or nautical designed space — in the shop soon! 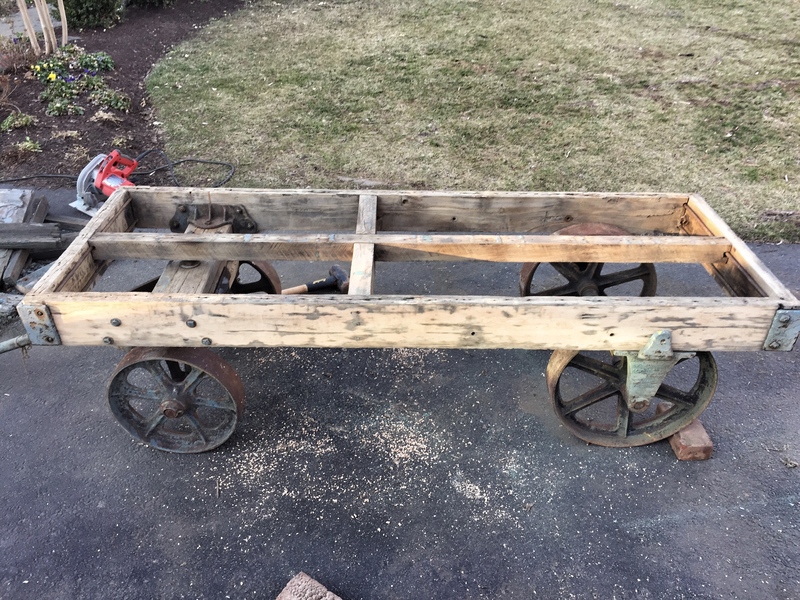 So this baby needs a little TLC, but the wood grain and claw feet would not let me leave it at the garage sale. 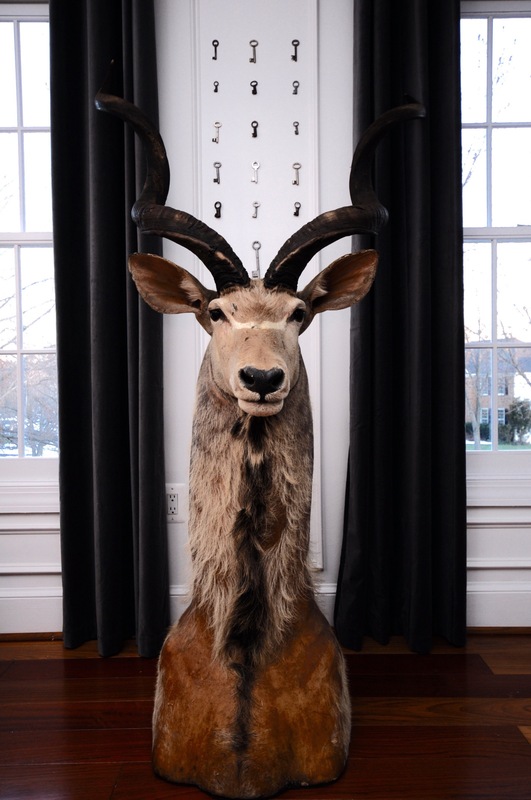 She’ll be lovely in someone’s entryway once all cleaned up. 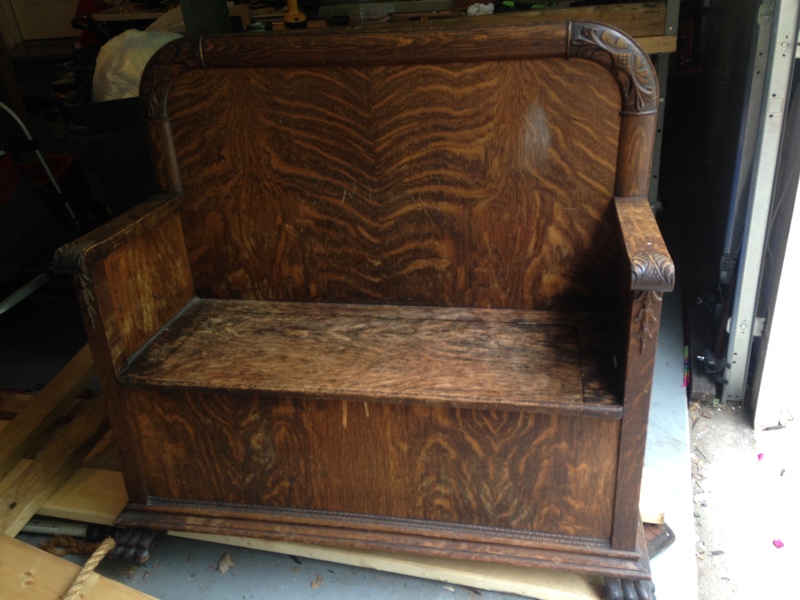 The seat opens up for storage as well. 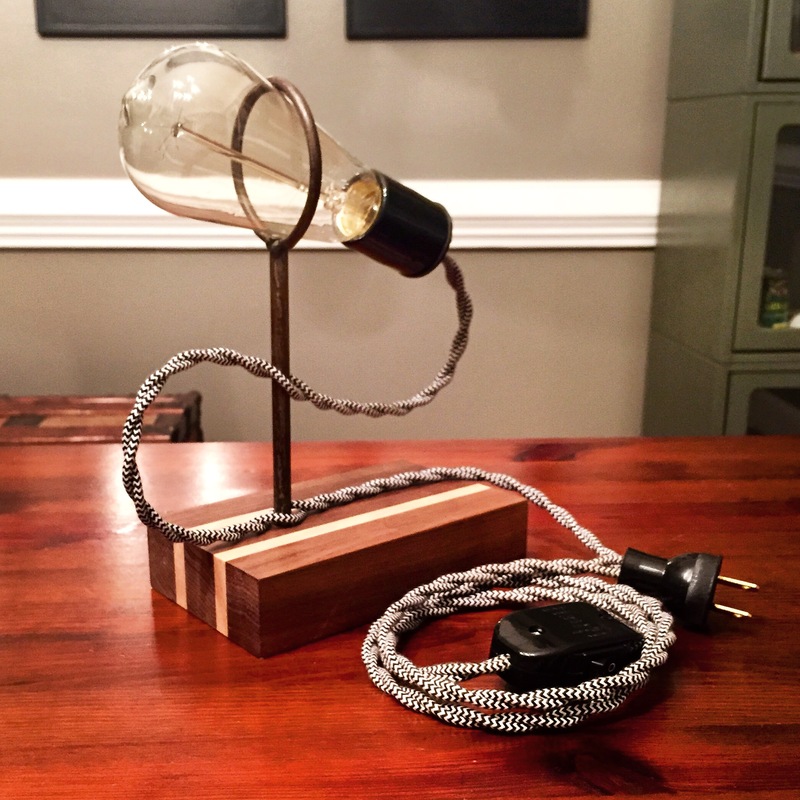 Sample table lamp from our new line of lighting. 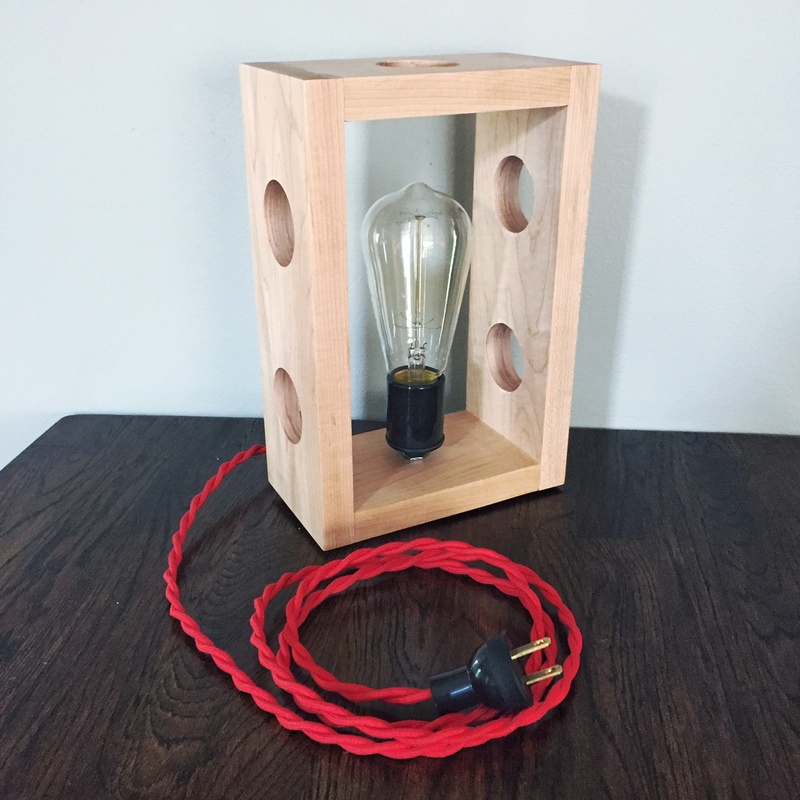 Recycled butcher block base with vintage-style red cord. 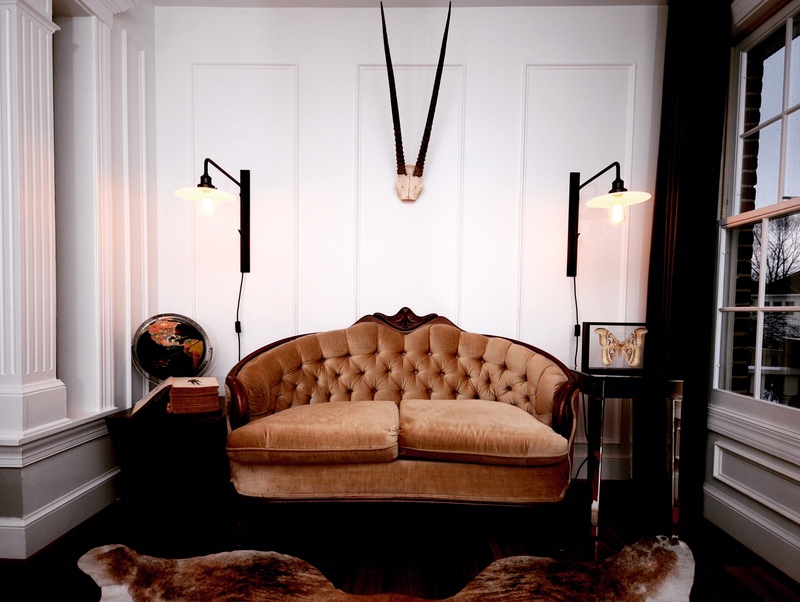 …Or a unique and easy-to-hang sconce. 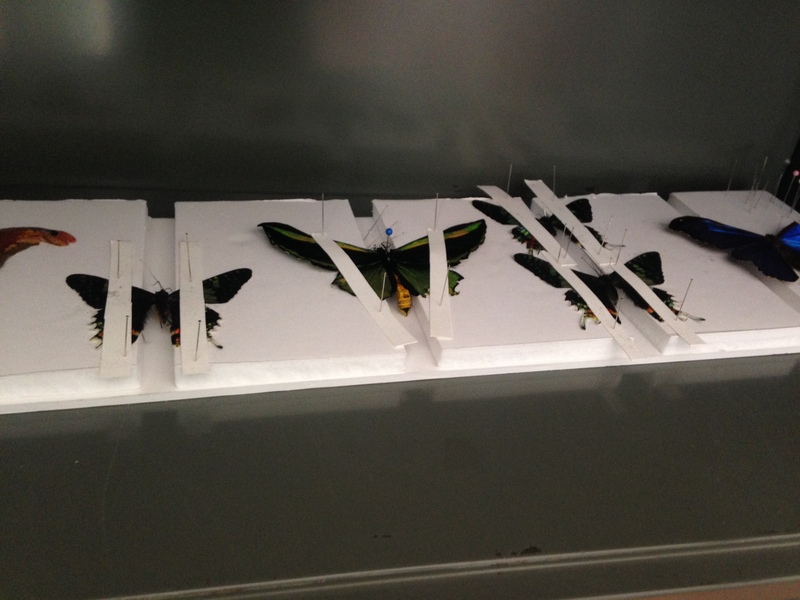 They look awesome as a pair on either side of a couch or bed, or alone as a point of interest. 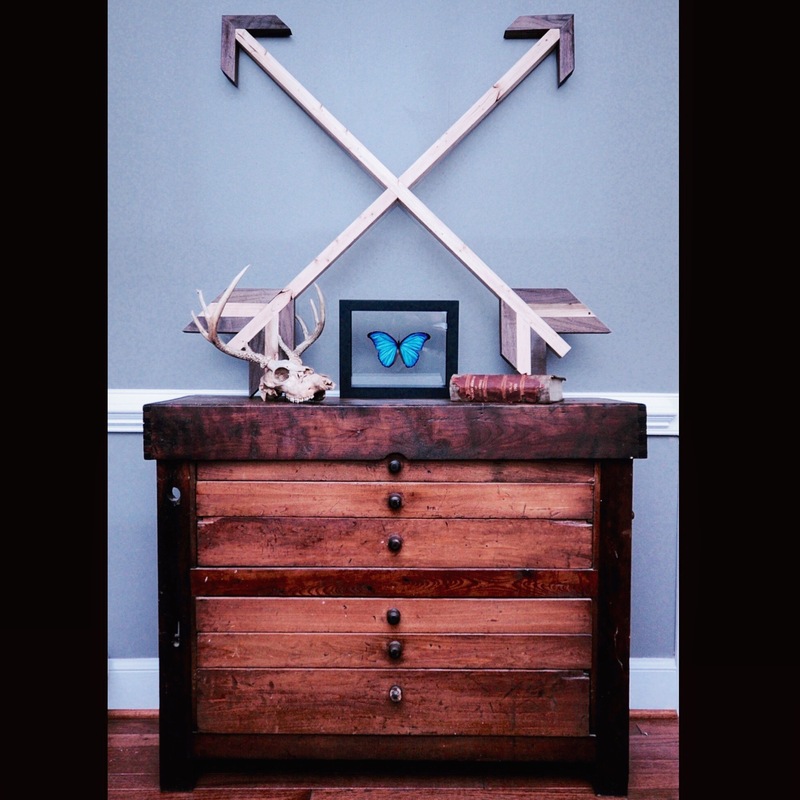 Crossed arrows handmade from reclaimed deck wood. 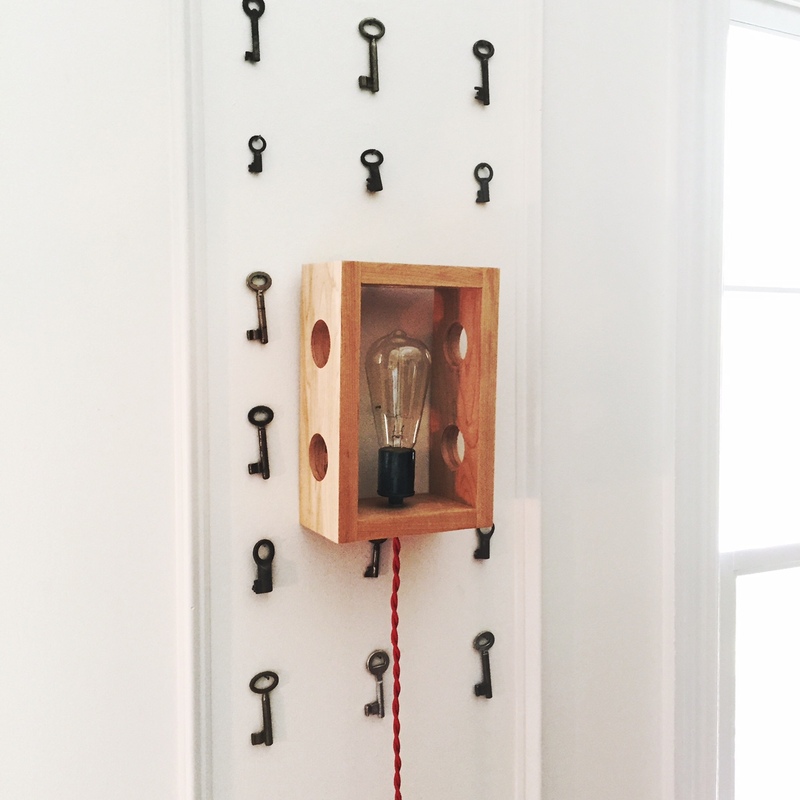 128 bolts. 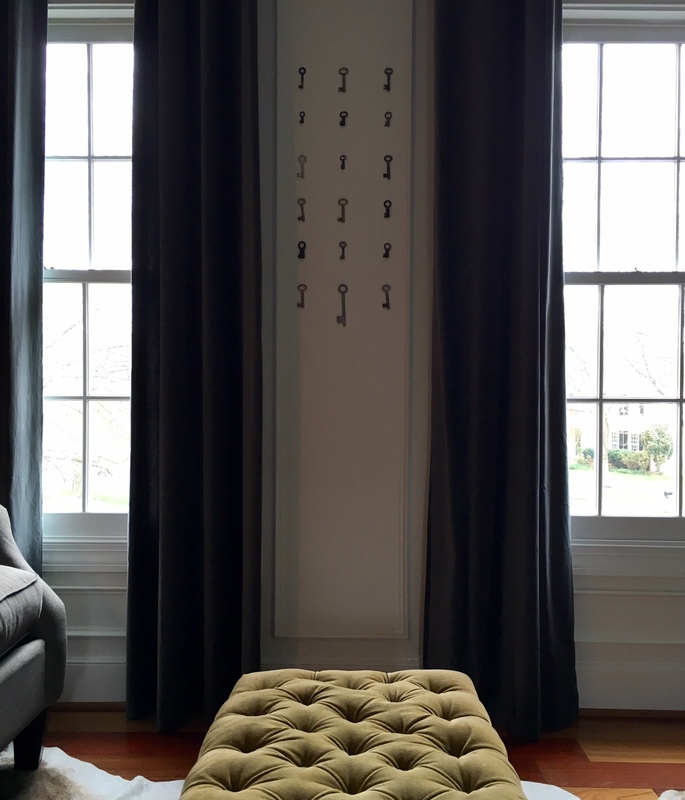 256 holes drilled. 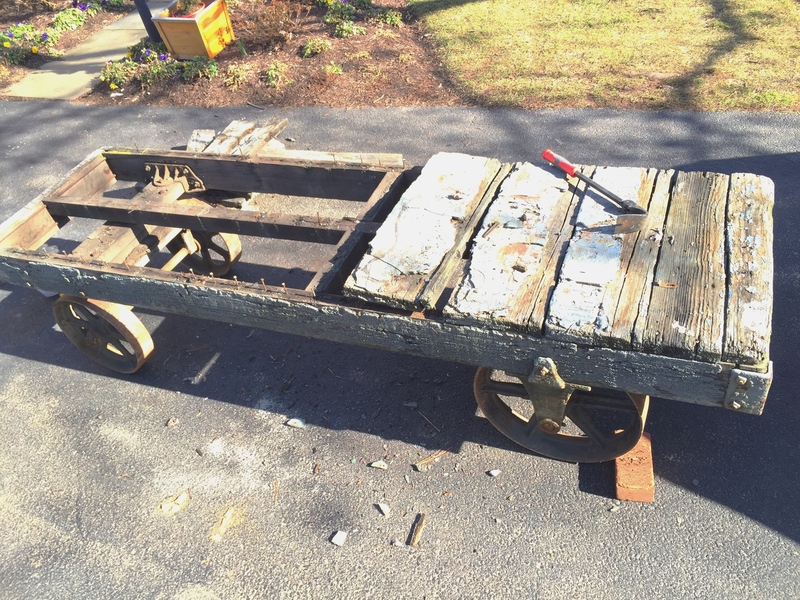 200 lbs of aluminum, steel, and pine. Maple butcher block top still to come! 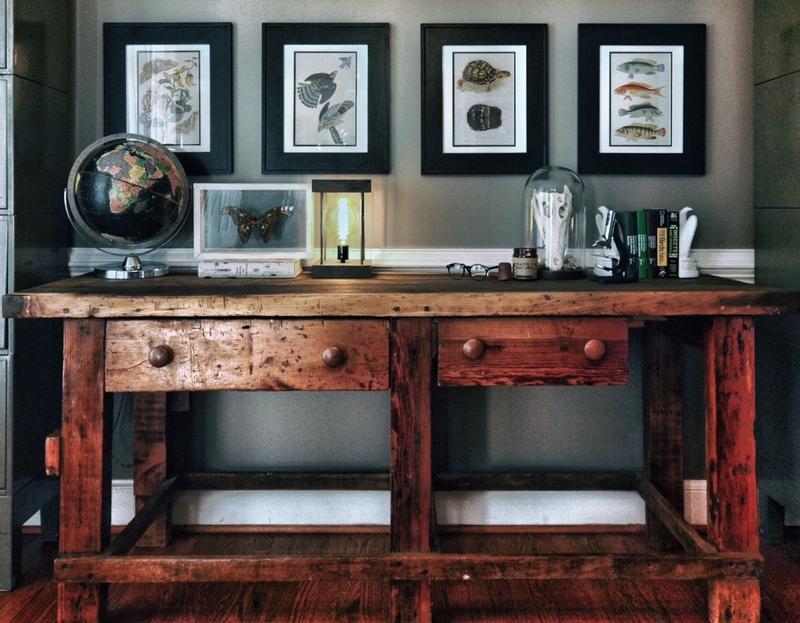 Our library, featuring Ben’s latest creation – a 100 year old industrial cart turned table – and, of course, our bug collection. 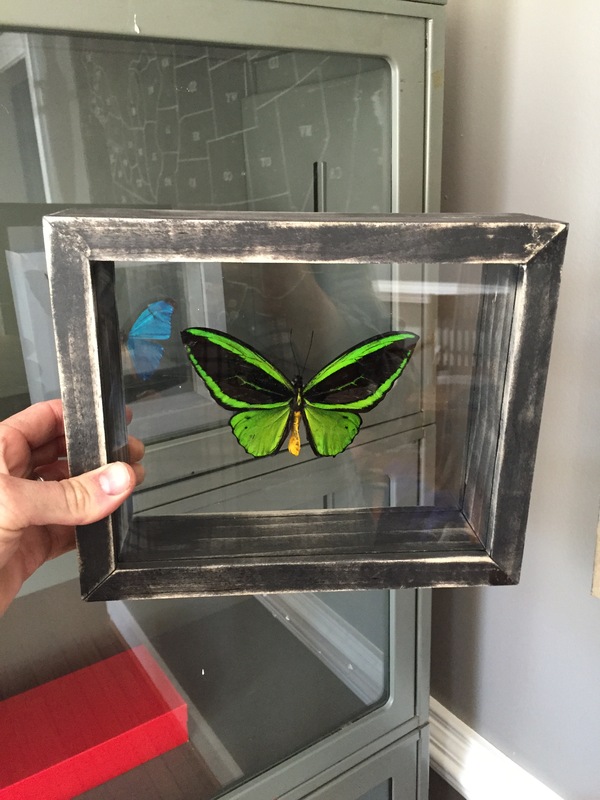 Birdwing butterfly on one of our handmade floating glass frames. I think I have a chair addiction. 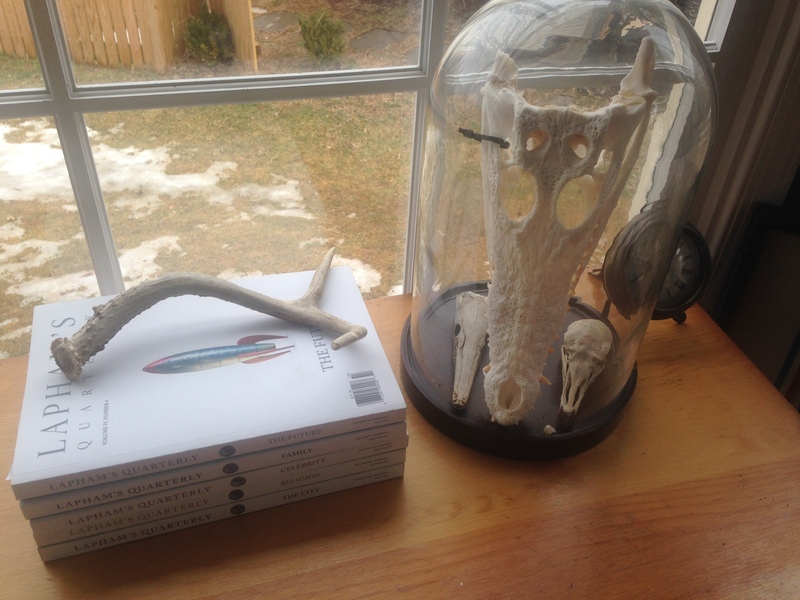 I’ll be polishing these up for our market this Spring.